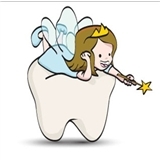 Kimball Pediatric Dentistry (Brooklyn) - Book Appointment Online! Our mission is not only to ensure a healthy smile in the present but provide your child with the skills and knowledge for a lifetime of dental health. Everyone in the office was so caring and devotional to each family. The staff always makes sure the children get to pick out the flavors of the toothpaste as well as the prizes. Never a tear in site.